When Renee gives Bella her graduation present she never imagines that a trip to Greece could turn into so much more. My "gift" for the Twi Exchange Gift Exchange. Edward faces a monumental crisis and finds Sanctuary in the one place he refuses to look for it. All Human. This story contains Religious themes and Mature themes: Edward is a priest struggling with his role in the Church and as a man. 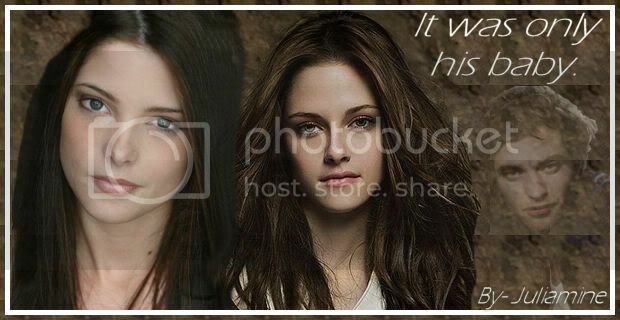 This story begins durning Breaking Dawn, just after Edward and Bella arrive at Isle Esme. Black Horizon explores alternate situations during and after the honeymoon, taking the couple on an entirely different journey as they deal with the trials and tribulations of Bella's humanity. After the Preface there is an italicized quote, which is the last line of Breaking Dawn before my story begins. Written for SSAA. What did we miss in Bella and Edward's lives between No One Saw the Pain and The Family that stays Together? A little bit of fluff, a little bit of healing, and a series of perfect holidays. Isabella Swan was enjoying a delightful trip to Europe with her best friend Alice Brandon. But a phone call puts her back on a road she had tried to forget for four years. AU/Human, OOC. Bella and Edward go back to school after their very public argument in which Edward declared his love for her. Now they have to face the music as their peers band together to make their lives miserable. Alice and Bella want what any couple wants, a baby. Bella asks her best friend Edward to contribute to the cause. He agrees but on one condition. B/A and B/E pairing. NC-17 for lemons and content. Thank you christine30974 for this new banner! Isabella Swan is in love with drippy Jasper Whitlock, and is devastated when he announces that he plans to marry her cousin Alice. She pleads with Jasper to marry her instead, but then, on the first day of the Civil War, she meets Edward Masen. A man to match her strength of character and romantic desires, Masen changes the course of her life. Despite hunger, and the burning of Atlanta, Isabella survives the war and its aftermath, but will she loose the only man she ver truely loved? Twilight meets Gone With The Wind. Characters are very OOC. Cannon Couples? Maybe. Bella struggles to learn to love and trust after having her heart broken by her indie rocker boyfriend. She's sworn off guys indefinitely, especially musicians - that is, until she catches the eye of rising rock phenomenon, Edward Cullen. AU AH R.
Dove is new at Fork’s High school, a colorful recluse whose nomadic family sees her thrown from school to school around the country, tired of the lack of surprises she finds in each. But Forks brings mystery. Devastated by Edward's departure, Bella is left broken and alone in the small town of Forks. She turns to Jacob Black for friendship and comfort. Instead of shirking his advances, Bella finds herself wanting more and embarks on a relationship with Jacob. Will their fledgling relationship be able to withstand the trials of fate? When you're broken beyond repair, what will it take to fix you? Non canon pairings, twists on existing New Moon events with some surprises along the way. It was one of those days when Forks was sunny. Bella was at school and Edward was stuck at home. This is how they keep in touch. Bella is trapped in a loveless marriage with Edward Cullen - a man she hardly knows. When his father dies, Edward uproots them from their life in New York City and moves into his father's now-empty house in the heart of Colorado. Amidst the desolate, beautiful landscape Bella begins to realize that perhaps there is more to her cold, apathetic husband than she thought. Edward and Bella gave up their lives as they knew them, to be with each other. 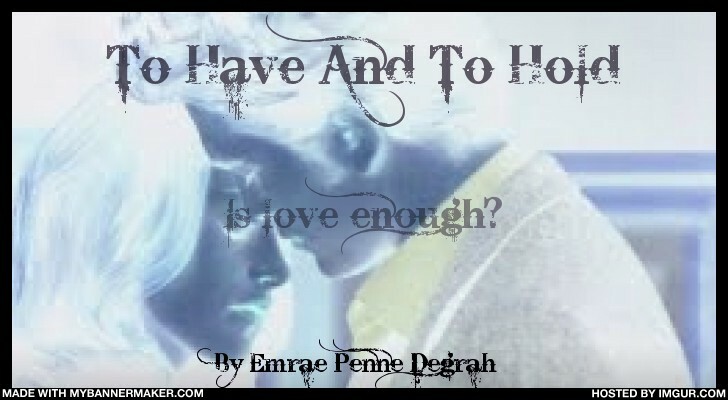 Will their love be enough? Disowned by their families, they find caring friends and mentors to help them through their tough times. Only when everything seems to be looking up, deep secrets from the past come back to haunt them. Turning away from each other, communication breaks down and suspicion sets in. Who will be there to guide them? Can their young relationship survive? Or will they sever everything they fought so hard for? One-shot written for the "To Kill a Cullen Contest." Alice Cullen is a force of life. Her death wreaks havoc in the lives of those left behind. Her best friend and her brother cope with her death together and find love for each other in the process. AU/AH. A long and tiresome journey and a wrongly booked ticket later, Bella Swan finds herself sitting next to renowned actor Edward Cullen and learns that whether flying coach or first class, karma gets her way. “Well… that’s embarrassing.” I looked up in the direction of the male voice that was responsible for the comment and nearly died. Nearly. Instead, I shrieked and flung my glass of champagne right in the lap of the owner. I was clearly hallucinating, because the man sitting next to me could not possibly be… I closed my eyes and opened them again. But he was still there a slightly uncomfortable look on his beautiful face as he retrieved my glass from his lap and inspected the damage to his trousers. “This is a new reaction,” he mumbled all the while I gaped at him and glanced at the magazine checking whether he had jumped out of it. But Edward Cullen was still gazing at me from the page, his eyes hypnotising and in addition the exact - slightly displeased - replica (with perhaps a bit more facial hair, and clothes) was undeniably sitting in the chair next to me. “I’m so sorry!” I finally managed to croak out when I remembered how to speak. Before I could thoroughly think it through I grabbed a napkin from my backpack and dove to dab his pants. He was not the only one who jumped up as my hand came into contact with his crotch. “I got it,” he said louder than I had heard him speak so far. For a moment he cast me an exasperated look and I almost felt the need to ensure him I was not trying to feel him up. He held up his hand as a stop sign and snatched the napkin from my hand, still hovering over him. I wasn’t sure whether he was mad or embarrassed. I was too busy trying to sink through my chair in shame. Entry for the 'A Picture is Worth a 1000 Words' contest. Life doesn't always turn out the way you expect. Bella and Edward hit a bump in their HEA. First place people's choice winner! 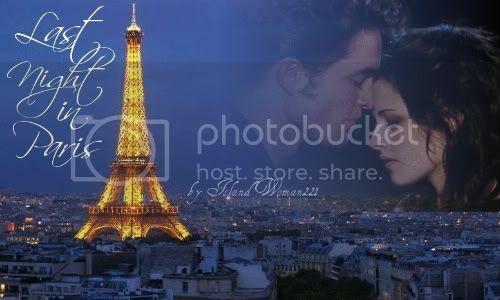 Bella is in Paris on a ten day High School Senior Class trip when an encounter in the Plaza of the Centre de Pompidou leads to her being rescued from an uncomfortable situation by her Knight in Shining Armor...and the night of a lifetime. One big Sweet Schmaltzy Lemon. Third Place Winner in the Bridal Style Anonymous Contest (who could write the most over the top "Harlequinesque" lemon). Will be expanded into a short multichapter fic at a later date. What if Bella had jumped off the cliff with Jacob in New Moon? What if Alice hadn't seen a thing? What if Edward had checked on Bella but never re-entered her life? Would she have survived or would the pain have spun out of control? This is my version of what would have happened. Bella has sworn off Christmas all that goes with it, that is until a special visitor appears - can he change her mind? When Jasper can't control the thoughts that escape from his head, Edward notices that they aren't at all normal. When they discuss it, Jasper and Edward do the impossible: they cheat on their lovers... with each other. In the world of the supernatural, a human has little hope of surviving ... except Zeiss. The sole survivor of a devastating vampire attack against a secret government agency dedicated to wiping supernatural threats out, Zeiss must use the powerful weapon they've developed to take the fight back to them. It's been 10 years since the Volturi came to Forks to meet Renesmee. Caius eventually sends Demetri to kill Renesmee and Edward and Alice die trying to save her. Years later, Bella and Jasper begin to act upon feelings they have been hiding for each other.